I like to keep a couple of flour moth traps (sometimes called insect traps) out just in case a flour moth hatches out. Surprisingly, flour moth traps are amazingly effective at catching flies! This Spring, I opened the traps up and laid them flat in the aviary window, thinking the light coming through the window would attract flour moths if I had any. I tilted the traps out of eye sight. Was I ever shocked today when I decided that these traps that had been in the window for several months now probably needed changing, they were saturated with flies! Oh how gross, no flour moths but flies galore!! I immediately shot this photo and discarded them and put two new ones in the window! The Traps Make My aviary A No Fly Zone! Tight Legged Pants Are In This Fall - Tight Feathering Is Always In!! 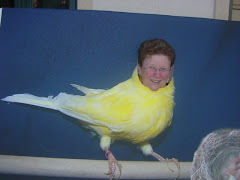 Tight feathering on a canary where the feathers hug the body like a glove is not only beautiful but often the competitive edge needed to win top prizes at bird shows. I always take moment after judging to quiz exhibitors about their feeding methods and to what they attribute their birds excellent feathering. And it always comes down to excellent nutrition! On numerous posts, I have recommended World Organic liquid multiple B vitamins in raisin concentrate for normal molting and to prevent and treat abnormal soft molt. I get these from my local health food store, Natural of Course. You can also substitute human multiple B vitamins tablets, just make the water canary yellow. In addition to B vitamins, make sure your birds are getting amino acids especially methionine. 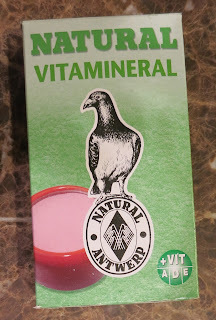 I use a vitamin amino acid supplement called Miracle from Italy which I get from ABBA Products (they call it AA Miracle, don't forget the AA or the clerk may not find it in their computer). Qualife Molt Ingredients: DL-Methionine, L Treonine, Niacin, Choline Chloride, Pantotenic Acid, Pyridoxin Hidrochloride, Sodium Bicarbonate, Sucrose and Glycerin. Optimix Metabolism Ingredients: Chelated Selenium, Chelated Chromium, Chelated Zinc, Chelated Copper, Chelated Iron, Chelated Manganese, Chelated Cobalt, Chelated Magnesium, Calcium Gluconate, Potassium Iodide, Calcium saccharate, Surose, and Glycerin. 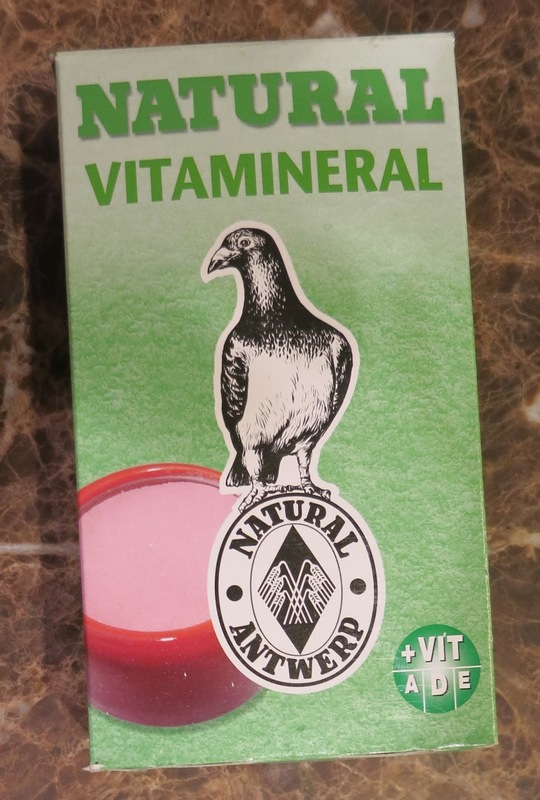 Recently, I began using Natural Vitamineral, a pigeon product made in Belgium. The product has eight different minerals and vitamin A, D3, E, K3 - thiamine , and B2, B6, and B12. Overall condition improved and I was very impressed with the positive effect on my birds feathering and activity level. This rose colored powder for pigeons, is offered free choice in a small pot so birds eat only what they want. The idea of birds eating how much they wanted rather than adding it to their food really appealed to me. Enthusiastically, I offered a cage of German Rollers and one of Borders open dishes of Vitamineral. Oh my, did they ever like it! But unfortunately, they jump right in the dish and as you can imagine, the wings and tail feather were promptly dusted to a matching rose color! Oh no, what was Big Bird thinking? It has taken quite a few daily baths, over a month, for the rose colored feathers to disappear even though I only offered it a few hours in the open dish. Luckily, I had limited my experiment with the open dishes to two cages! I am now adding it to the green nestling food recipe previously posted. This product has distributors listed all over the world. For example: Australia - Merryland Products, South Africa - Exeder Produkte, Japan Tokyo Champion Trade Co or International Fodder Kobe, Belgium - Natural Granen. 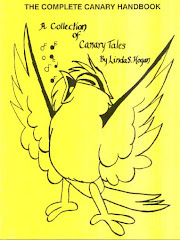 I purchased mine at Foy's Pigeon Supply US. Lucca, my Belgian Malinois, is my newest aviary assistant. His favorite job is encouraging the birds to fly back and forth. So far, he only works with German Rollers. After all that work time for a rest and play with the natural sounding squawking duck toy. The duck is fine but wonder if they make a canary one?